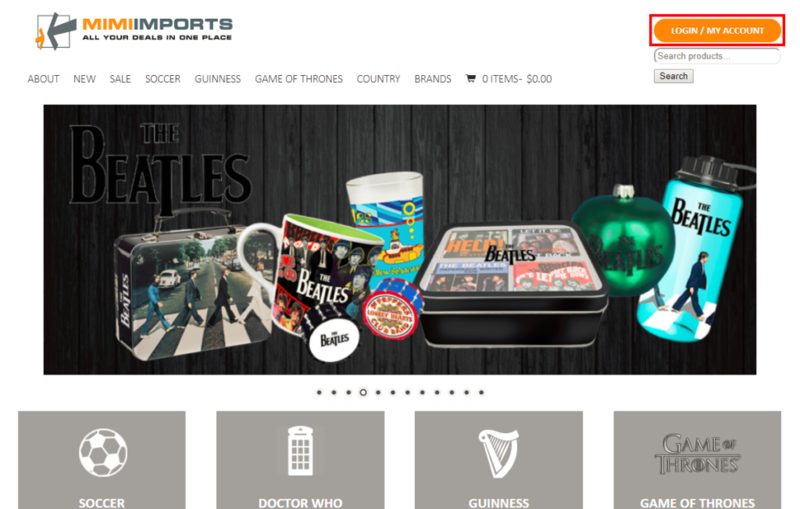 Check out the FAQs for why and how to shop at Mimi Imports! 1. Why should I work with Mimi Imports? 2. How do I know it’s safe to shop with you? 3. Do you sell directly to consumers? 4. How can I contact you for assistance? 3. Do you have any catalogues? 4. Do you do back orders? 5. What if the item I want is out of stock? 2. How long will it take to get my order delivered? 3. What carriers do you use for shipping? 4. Where can I find my tracking information? Ask us – we’re happy to help! Before working with us, many of our clients ask us why they should work with a professional distribution company. Often, they are hesitant to work with a distributer because they think that they can get the products cheaper if they purchase them themselves. Unfortunately, when you look at the cost importing products, the price you see is never the price that you end up paying. When working with a professional distributor, the price we quote is the price you’ll really pay. The reason this is price seems higher than if you were to buy the product yourself, is because we believe in transparency. This means that before we quote a price for you, we’ve taken into consideration any additional costs that may be incurred when importing. Some of these costs can include foreign exchange exposure, currency conversion, shipping, duty, as well as brokerage fees. When trying to import products yourself, you often don’t realize how much these hidden costs will ad up to, which means you may be setting your prices too long to make a profit. Working with a professional distributor will eliminate the headache of having to deal with, and understand, these costs, and will help make sure that you’re setting your price at a fair market value. Mimi Imports was established in 2003 and we pride ourselves on our industry leading customer service. Our website is secured by data encryption, known as Secure Socket Layer (SSL), to ensure that your information is safe. If you have any questions, feel free to contact us. No, we do not sell direct to consumers. Our business specializes in wholesale, meaning we sell to other businesses who then sell directly to consumers. If you have any questions or concerns, please email us at sales@mimiimports.com and we’ll get back to you within 24 hours. Alternatively, you can call us at (519) 824-8827. We accept Visa, MasterCard, PayPal, and Certified Cheque. However, we don’t ask for payment upon ordering, but wait until your package is ready to ship before charging you. Our team will go through our inventory to ensure that all the products you’ve ordered are in stock, placing any out-of-stock or pre-order items on back order. You will then receive an invoice detailing the products being shipped to you, along with the shipping costs for your order. If we have your credit card information already on file, your card will automatically be charged. If not, we will contact you for more information to start the payment process. Our return policy is as follows: Any discrepancies must be reported to Mimi Imports in writing within 48 hours of receiving an order. Returns are not accepted without permission from Mimi Imports for return authorization. Please email customerservice@mimiimports.com with any discrepancies or requests and we will get back to you within 24 hours. Goods must be returned in their original packaging in saleable condition. Please note a 15% restocking fee will apply and return freight charges will be added to any returns to your account on a separate invoice. Yes, we do ship back orders. Before shipping any back ordered products, we will contact you to confirm your order. Please contact us to let us know what item you’re looking for and we’ll let you know when it’s back in stock! We provide tracking numbers for all of the packages we ship out at no charge. To find this tracking information, take a look at your invoice or head to “My Account” on our website. Step 1: Login to your account my clicking the “Login/My Account” button in the top right hand corner of the page. 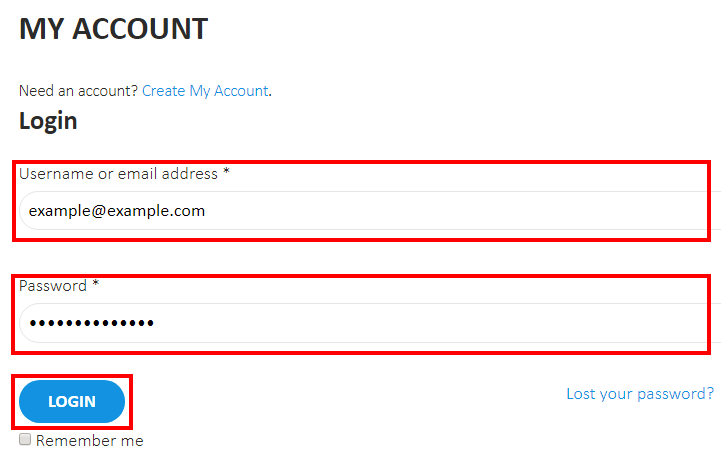 Step 2: enter your login information, including your username or email and password. Then press the “Login” button. 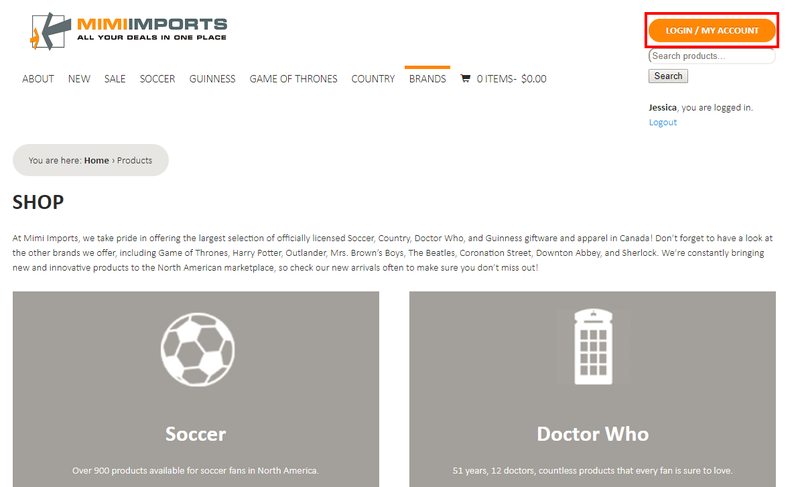 Step 3: It will redirect you to our shop page. Again, click the “Login/My Account” button in the top right hand corner of the page. Step 5: Locate the order you require tracking information for and hover over the orange truck button. Your tracking information will appear with the Carrier name, the date it was picked up, and the tracking code. Step 6: Now you’ll need to head over to the listed Carrier’s website and plug in the tracking information provided.